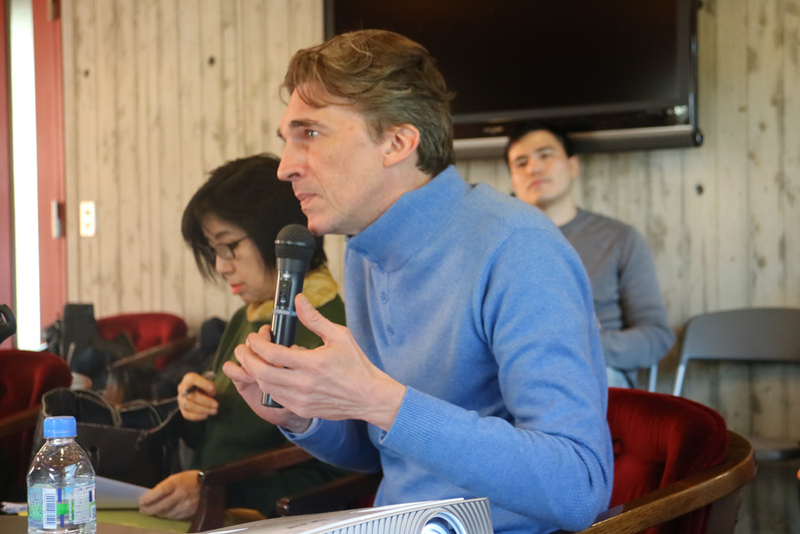 The Department of Arts Studies and Curatorial Practices in the Graduate School of Global Arts at Tokyo University of the Arts invited Professor Nicolas BOURRIAUD, an internationally renowned curator and writer, to conduct a series of lectures and seminars as a Special Guest Professor. This series was held at our Ueno Campus, from January 5 to 10, 2018, for students of our School, students of other Departments and Schools at TUA, as well as for the general public. 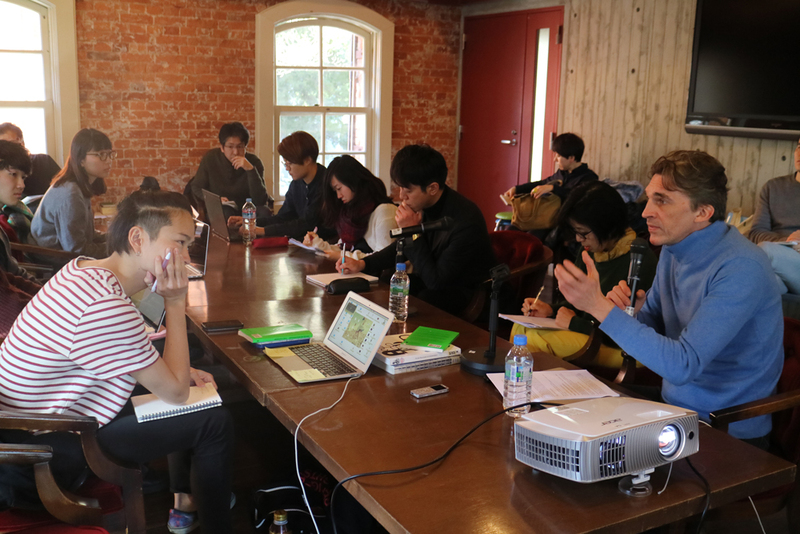 The program was composed of two lectures and two seminars. 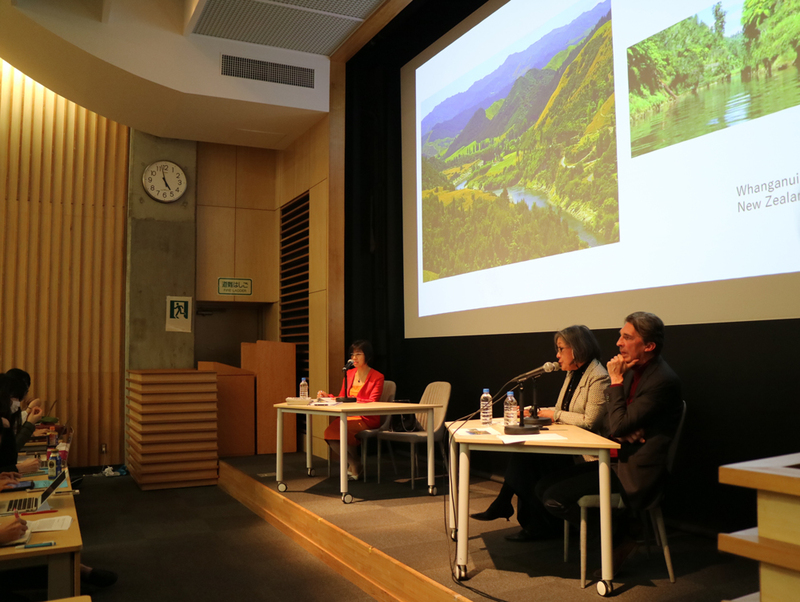 The first Special Lecture was entitled Relational Aesthetics and Time, and was held on January 5 for 120 minutes in English without interpretation, and the second lecture, entitled The Relational Landscape of the 21st Century: Art between Human and Non-Human Spheres, was held on January 8 for 120 minutes in English with consecutive interpretation into Japanese. Both were open to students and faculty of TUA as well as the general public. 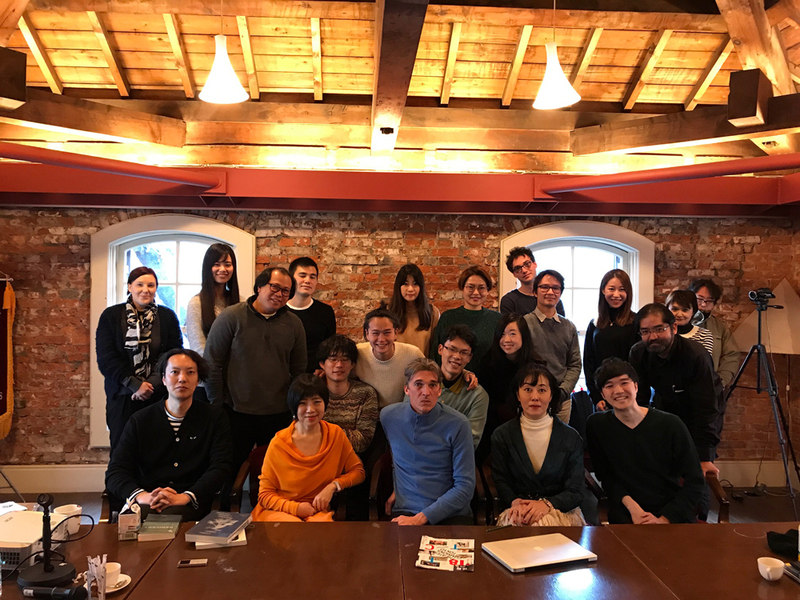 Following those lectures, two Seminars / Lectures with Discussion Sessions, on the themes of “The Exform” and “Exhibition-making”, were held on January 9 and 10, for 130 and 90 minutes respectively, in the Guest Room of Red Brick Building Number 1 as part of Professor Yuko HASEGAWA’s Seminar Course on “Arts Studies and Curatorial Practices: Curation I.” In addition, prior to the professor’s visit to our Department, Dr Futoshi HOSHINO, a scholar in Aesthetics and Interdisciplinary Cultural Studies, delivered a 90 minute lecture in Japanese entitled Nicolas BOURRIAUD: A Curator as a Thinker, as part of a pre-study session, which re-examined Professor BOURRIAUD’s works and practices, surveying the exhibitions he has curated, from Traffic (CAPC / Musée d’art contemporaine de Bordeaux, 1996) to The Great Acceleration (Taipei Biennial, Taipei Museum of Fine Arts, 2014) and discussing his numerous critical writings. Professor BOURRIAUD started his practice in the late 1980s in his early twenties. Since then, up to the present, he has been a leading figure in the field of contemporary art, and has concretized one of its theoretical achievements through his exhibition curation and writings, both which bear extraordinary significance in the history of contemporary art. In 1995, he coined the term “Esthétique relationnelle / Relational Aesthetics,” as a phrase to express the idiosyncrasies of certain contemporary art works. Later, in 1998, he published a book under the same title. Also, in the “Manifesto” released on the occasion of his 2009 exhibition Altermodern, he engaged in a deep examination of the possibilities of art as ‘a reaction’ against the cultural homogenization, mass production and commercialism which has expanded in the context of the further globalization of our age, and recounted the dynamism of ‘cultural translations,’ ‘nomadism,’ and so on, which mediated a wide range of hybridized and creolized cultures and their formats. These words and thoughts have been translated into many languages and have been widely spread around the world, offering immersive impact and influences and creating critical opportunities making possible numerous new interpretations and theoretical discussions on today’s art. The professor was also a Founder and Co-Director of Palais de Tokyo, a contemporary art space in Paris from 1999 till 2006, and Director of École Supérieure des Beaux Arts Paris from 2006-2015, and is currently working as Director of MoCo – Montpellier Contemporain – a large-scale art complex in Montpellier, France, which includes an art museum scheduled to open in 2019. Among the lectures and seminars by the professor, in particular. the Special Lecture The Relational Landscape of the 21st Century: Art between Human and Non-human Spheres culminated in the professor clearly and articulately updating the analyses and discussions which he had been developing with new interest and concerns through a maturation of his earlier thoughts, in exhibitions and books of recent years. 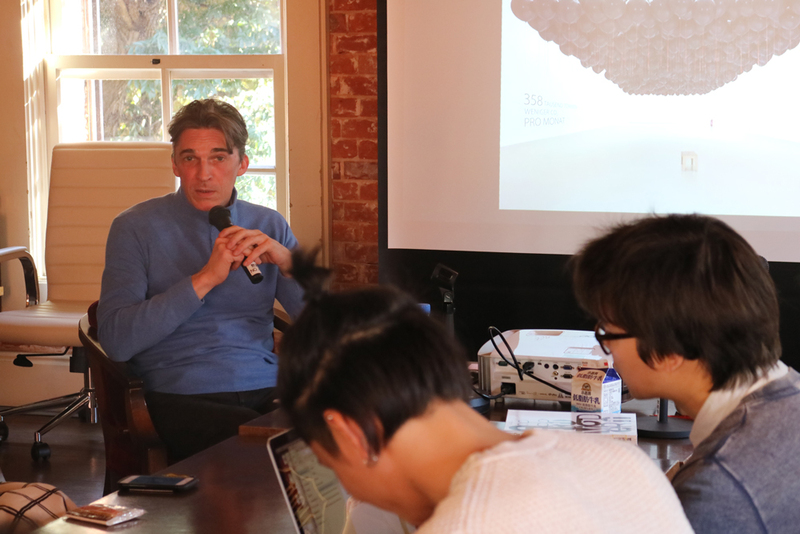 The lecture started with his thoughts and interpretations on the various situations surrounding us today, from social, ecological, anthropological to economic, political and cultural contexts, in the age of the Anthropocene era, Late Capitalism and further globalization. 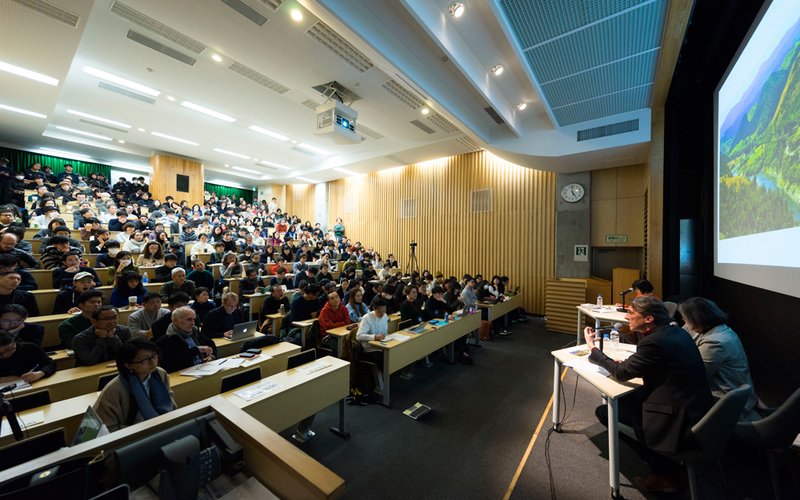 In the latter half of the lecture, he introduced and re-examined the works of artists who have reacted to such situations of our time and who have engaged with them through the practice of art-making, such as Gabriel OROZCO, Francis ALŸS, Mark LECKEY and Pierre HUYGHE. Thanks to the professor’s courtesy, the Department of Arts Studies and Curatorial Practices is pleased to release a video recording of this Special Lecture, which was held from 15:00-17:00, on January 8, in the First Lecture Hall, Central Building, Faculty of Fine Arts, TUA Ueno Campus, including the whole lecture and the following Q&A Session with the audience and the Moderator, Professor HASEGAWA. Lastly, we, the Faculty of our Department would like to thank all the visitors to this Special Lecture and to apologize to those who could not enter either the main Hall or the sub-venue, where we projected a live video, due both venues reaching their full seating capacity. We hope that this video documentation will be a precious experience to all, beneficial to each person’s artistic and intellectual pursuits and explorations. Thank you very much. 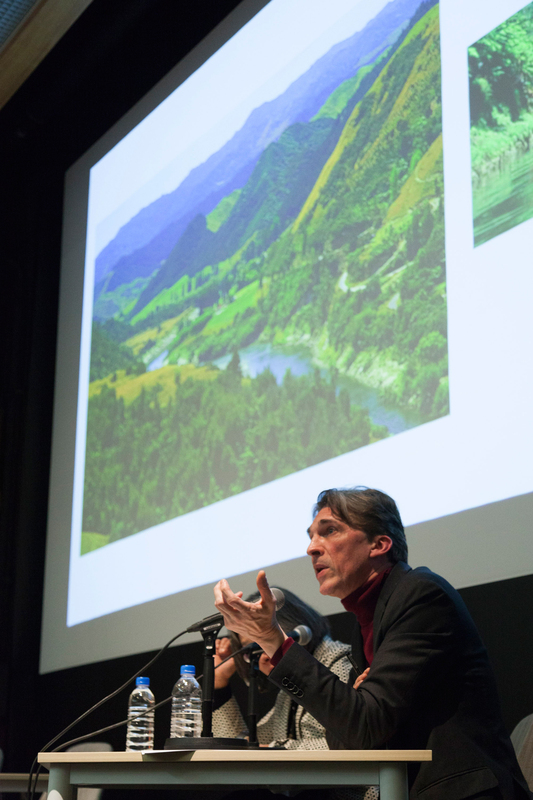 Nicolas BOURRIAUD, born in 1965, is a curator and writer. He is currently the Director of MoCo – Montpellier Contemporain (a gathering of the La Panacée art center, the ESBAMA art school (École Supérieure des Beaux Arts Montpellier) and the future MoCo Museum scheduled to open in 2019). He founded and codirected the Palais de Tokyo, Paris, (1999 -2006), was the founder and advisor for the Victor Pinchuk Foundation in Kiev (2003-2007), professor at IUAV (Universitá Iuav di Venezia; the former Instituto Universitario di Architettura di Venezia) in Venice (2006-2007) and Gulbenkian Curator for Contemporary Art at Tate Britain in London (2007/ 2010). In 2010, he headed the Studies Department at the Ministry of Culture in France, then became Director of the École Nationale des Beaux-arts de Paris (2011 -2015). As an independent curator, he was part of the curatorial team of the French Pavilion in 1990 and Aperto in 1993 at the Venice Biennial, and organized many international exhibitions, from Traffic (CAPC／Musée d’art contemporaine de Bordeaux, 1996), Estratos (Murcia Museum of Fine Arts, Murcia, Spain, 2008) and Altermodern: Tate Triennial 2009 (Tate Britain, London, 2009), to the recent Wirikuta: Mexican Time-Slip (Museo Espacio in Aguascalientes, Mexico, 2016-17). 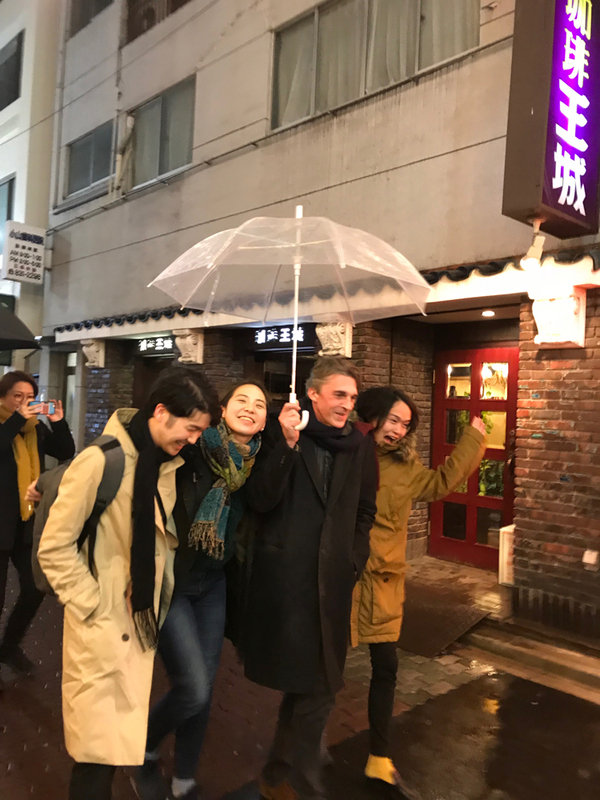 He also was a curator for several biennials, including Lyon (2005), Moscou (2005 and 2007, with Rosa Martinez, Daniel Birnbaum, Joseph Backstein, Hans-Ulrich Obrist and Iara Boubnova), Monodrome (Athens, 2011), The Great Acceleration (Taipei Biennial, Taipei Museum of Fine Arts, 2014) and Threads (Kaunas Biennial, Lituania, 2015). He published several books composed of theoretical and critical essays, such as Esthétique relationnelle / Relational Aesthetics (French Ed. 1998; English Ed. 2002), Postproduction (2002), The Radicant (2009) and The Exform (2015), some of which have been translated into as many as twenty languages.